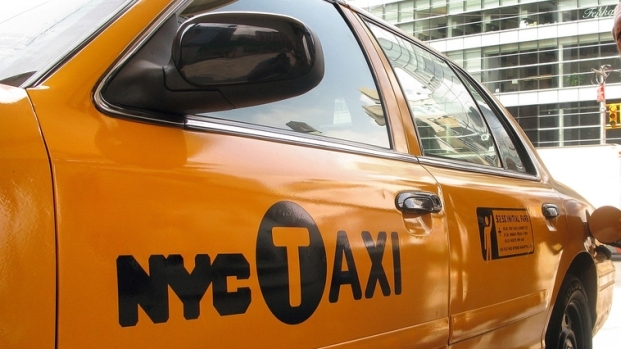 Taxi riders in New York City could see the fare increase approved in July take effect as soon as Tuesday. The Taxi and Limousine Commission says cab drivers can put the new fares into effect starting Sept. 4 if they've updated the markings on their cars and their fare meters. The agency says riders could see a mix of cabs charging new or old fares, depending on whether the required taxi changes have been made. For ways to spot the cash-saving cabs, watch the video above. The 17-percent increase was voted into effect by the TLC on July 12. Taxi drivers are not required to implement the new fares until their first scheduled inspections after Sept. 30, the TLC said. Some New York Taxis are raising fares today, but not all of them. Brynn Gingras shows you how to save a few bucks... for now. The increase doesn't affect the base fare of $2.50, but does raise the per-mile charge. The commission also voted to raise the flat-rate fee between Manhattan and Kennedy Airport from $45 to $52. 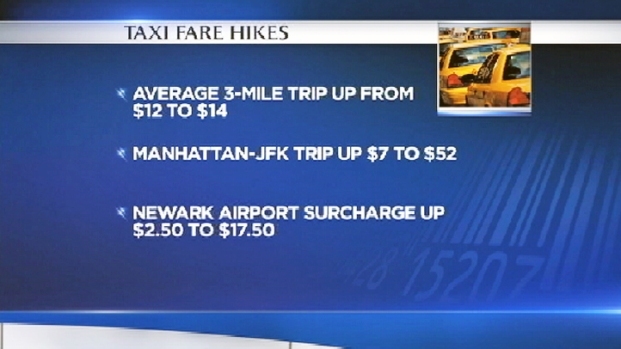 The surcharge to travel to or from Newark International Airport will rise from $15 to $17.50. It is the first fare increase since 2005. The New York City Taxi and Limousine Commission has voted to raise taxi fares but cabbies say medallion owners will try to take a bigger share. 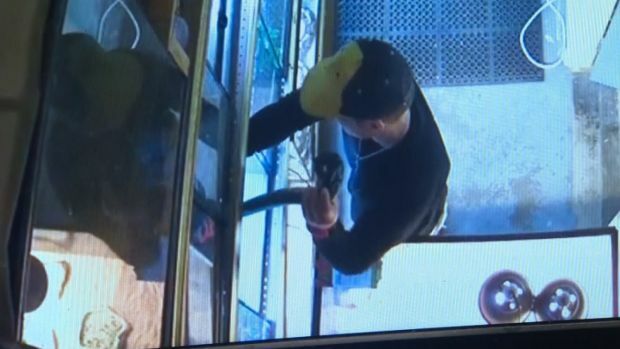 Marc Santia reports. $0.50 night surcharge from 8 p.m. to 6 a.m. daily. the $0.50 MTA tax SHALL be added to this flat rate. all necessary tolls to and from the destination.